The austerity, low interest rates, and sluggish growth in Britain between the two World Wars mirror today's economic circumstances. The column investigates the causal impact of tax changes on growth at the time. A 1% cut in taxes raised GDP by between 0.5% and 1% on impact, and by more than 2% over two years. This suggests that tax changes had an important macroeconomic impact and have the potential to generate similar effects today. High public debt, widespread fiscal austerity, interest rates near zero, and sluggish economic growth. It sounds like 2010-2012, but this is Britain between the two World Wars, when policymakers were asking if public spending would boost growth, whether tax cuts would stimulate the economy, and whether austerity would hurt. So these questions are not new, and this period of history remains relevant today. Richard Kahn introduced the idea of a fiscal multiplier in 1931, and his concept was taken up by Keynes (1933, 1936), but the debate about the efficacy of fiscal policy has remained unresolved for nearly 100 years. In a new paper (Cloyne et al. 2018), we use the events and circumstances of interwar Britain to investigate an important aspect of fiscal policy: do tax changes affect growth? This is still a first-order policy question. Many countries cut taxes in 2009 and raised them after 2010, sometimes significantly. The US is currently implementing tax reforms. But this is also an important historical question. After WWI, Britain stuck to a policy of austerity when many other countries did not. Could British economic performance have been better? We show that tax changes had large effects on GDP in interwar Britain, with fiscal multipliers – the additional GDP gained from cutting taxes by one pound – of 0.6 on impact and greater than 2 over a few years. These are similar to post-war tax multipliers, and larger than many estimates of the effect of government spending in the interwar years. Natural experiments in macroeconomics are rare, and it is difficult to make any causal inference from observational data. Fiscal policy may affect the economy, but the reverse is also true. Therefore, it is hard to interpret any correlation between the two. Careful examination of historical episodes can, however, provide us with changes in taxes that allow us to infer causation. Interwar Britain is one of these episodes, with particular relevance for today. Drawing on British Budget Financial Statements and political speeches, we construct a direct measure of nearly 300 individual tax changes between 1918 and 1938. We then follow Romer and Romer (2010) in investigating the motivations of policymakers behind each tax change to find reforms that were likely to be unrelated to fluctuations in the economy. Our analysis shows that British fiscal policy was pre-Keynesian. There was little macroeconomic stabilisation policy and so fiscal instruments were generally not used for this purpose. Tax changes tended to flow from longer-term political and social goals, often reflecting the personalities of the politicians that made them. And despite the generally austere character of fiscal policy, there were surprisingly large numbers of tax rises and cuts. 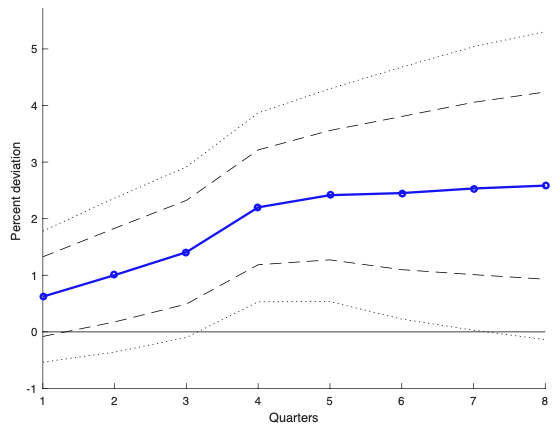 Figure 1 shows our new data aggregated to quarterly frequency using the projected tax revenue effects as a percentage of GDP. Figure 1 disentangles cause and effect. After a careful reading of political speeches by policymakers, as well as a careful reading of the history, we isolate a range of policy reforms that we argue were not responding to short-term economic fluctuations – exogenous policy changes – and we use these to estimate the impact of tax policy on growth. Source: Cloyne et al. (2018). Interwar Britain is particularly well-suited to this kind of narrative analysis of policy motives. Just like today, many tax changes were announced around the same time every year in the budget speech given in parliament by the chancellor of the exchequer (minister of finance). Since WWII, demand management measures have often been easily identifiable under separate sections in the chancellor’s speech (Cloyne 2013). This was not the case in the interwar period, where decisions tended to be more idiosyncratic. We therefore make extensive use of the historiography surrounding budgetary policy in this period, drawing from Alesina (1988), Daunton (2007), Matthew (1986), Middleton (1985, 1996), Moggridge (1972), Peden (1987), Pollard (1970), Short (1985) and Tomlinson (1990). By recording motives, we are able to show, for instance, that the tax cuts made in 1924 by Philip Snowden (Figure 1), a Labour Party chancellor, were aimed at fulfilling his long-standing wish to reduce the tax burden on the poor and make society less unequal. We can show that Imperial Preference was a long-term, trade-related principle favoured by the Chamberlain family, which can explain many tax changes put forward by Austen Chamberlain in the 1920s and his brother Neville in the 1930s. Although we isolate some tax changes that were clearly the product of economic developments, many discretionary tax policy decisions over this period can be seen as either ideological (following, for instance, an ideal of fairness), or aimed at long-term performance (for instance supply-side measures aimed at increasing productivity). 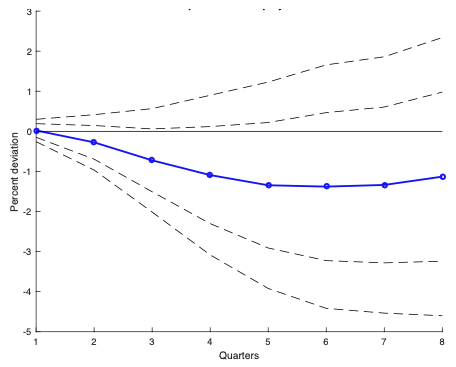 Policymakers generally did not use fiscal policy counter-cyclically, but the high overhanging debt in the period potentially generates some unique empirical challenges. There was much discussion about tackling the persistent level of indebtedness. That said, we find that debt repayment was often separate from discretionary tax changes. One institutional feature of this period is that Chancellors made regular – indeed almost mechanical – payments into a sinking fund. Budget surpluses, on the basis of existing tax rates, were then often used to pay down the debt. This approach to fiscal consolidation was rooted in the budgetary orthodoxy that had been followed by the British Treasury since the Victorian era. While some discretionary tax changes were designed to deal with alarming, contemporaneous movements in the deficit, we can exclude these as endogenous (the red lines in Figure 1). Other changes sought to reduce a long-standing and stable fiscal imbalance which did not warrant emergency treatment. These decisions can be seen as a product of the British Treasury's long-standing support for budgetary orthodoxy and fit more closely with Romer and Romer (2010)’s concept of an inherited deficit. They, by-and-large, were not responses to short-term economic fluctuations. Figure 2 shows the interwar tax multiplier following a policy reform. Here, the fiscal multiplier refers the change in GDP for a £1 cut in tax revenue. The effect on the economy is persistent and tax policy changes potentially affect both GDP and revenue for many quarters. 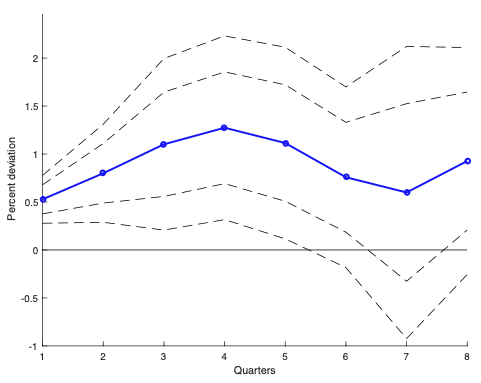 Figure 2 therefore reports the present value cumulativefiscal multiplier which, at each horizon after the policy intervention, sums up the effect on GDP to date relative to the cumulative effect on tax revenue. The effects were large, cutting taxes by £100 raises GDP by £60 on impact – a multiplier of 0.6. After two years, the present value cumulative multiplier is greater than 2 and is statistically significant over the period. Interwar GDP tax multipliers were greater than 1, unlike the spending multipliers found by Crafts and Mills (2013, 2015). This matches tax effects found in post-war narrative evidence, for example those found by Romer and Romer (2010), Cloyne (2013), Mertens and Ravn (2013), or Hayo and Uhl (2014). Tax cuts lower unemployment and lead to a rise in the nominal policy interest rate, but they have only a weak effect on consumer prices (Figure 3). The debate about whether changes in fiscal policy can affect the economy is as important now as it was 100 years ago. The events and circumstances of interwar Britain are useful for identification. It was a high-debt, low interest rate environment with considerable slack, and so it is a relevant case today. Tax changes have large effects on GDP: a 1% of GDP cut in taxes raises GDP by between 0.5% and 1% on impact. This effect becomes larger than 2% over two years. Although these numbers are lower than Keynes’ original multipliers (focused on government spending) they are large relative to subsequent estimates of the expenditure multiplier for the interwar years. Our results suggest that tax changes had an important macroeconomic impact in interwar Britain and have the potential to generate similar effects today. Alesina, A (1988), “The end of large public debts” in F Giavazzi, F and L Spaventa (eds.) High public debt: The Italian experience, Cambridge University Press. Cloyne, J (2013), "Discretionary tax changes and the macroeconomy: new narrative evidence from the United Kingdom", American Economic Review 103(4): 1507-28. Cloyne, J, N Dimsdale and N Postel-Vinay (2018), "Taxes and growth: new narrative evidence from interwar Britain, NBER working paper 24659. Crafts, N, and T C Mills (2013), "Rearmament to the rescue? 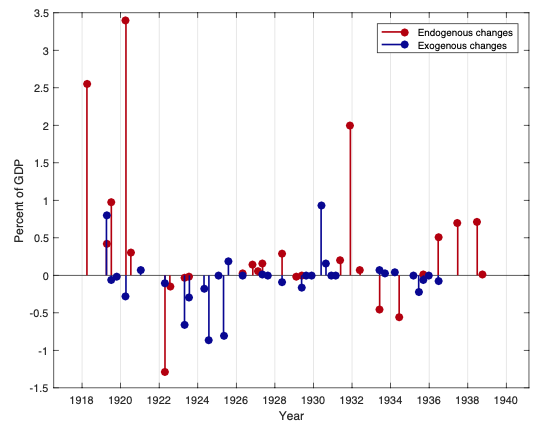 New estimates of the impact of “Keynesian” policies in 1930s' Britain", The Journal of Economic History 73(4): 1077-1104. 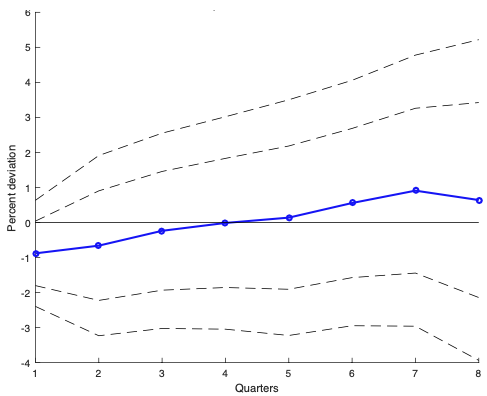 Crafts, N, and T C Mills (2015), "Self-defeating austerity? Evidence from 1930s' Britain", European Review of Economic History 19(2): 109-127. Daunton, M (2007), Wealth and Welfare: An Economic and Social History of Britain 1851-1951, Oxford University Press. Hayo, B, and M Uhl (2014). "The macroeconomic effects of legislated tax changes in Germany", Oxford Economic Papers 66(2): 397-418. Keynes, J M (1933), The Means to Prosperity, Macmillan. Keynes, J (1936), The general theory of employment interest and money, Macmillan. Matthew, H (1995), Gladstone 1875-1898, Clarendon Press. Mertens, K, and M O Ravn (2013), "The dynamic effects of personal and corporate income tax changes in the United States", American Economic Review 103(4): 1212-47. Middleton, R (1996), Government versus the market: The growth of the public sector, economic management and British economic performance c. 1890-1979, Edward Elgar. Middleton, R (1985), Towards the managed economy: Keynes, the treasury and the fiscal policy debate of the 1930s, Methuen. Moggridge, D (1972), British monetary policy, 1924-1931: The Norman Conquest of ... 4.86 [dollars], Cambridge University Press. Mountford, A, and H Uhlig (2009), "What are the effects of fiscal policy shocks? ", Journal of Applied Econometrics 24(6): 960-992. Peden, G (2000), The Treasury and British public policy, 1906-1959, Oxford University Press. Pollard, S (1970), The gold standard and employment policies between the Wars, Methuen. Romer, C D and D H Romer (2010), "The macroeconomic effects of tax changes: estimates based on a new measure of fiscal shocks," American Economic Review 100(3): 763-801. Short, M E (1985), "The politics of personal taxation: budget-making in Britain, 1917-31", PhD thesis, University of Cambridge. Tomlinson, J (1990), Public policy and the economy since 1900, Oxford University Press. In the paper, we show how to construct this a number of ways, including using the external instruments method outlined in Ramey and Zubiary (2018).